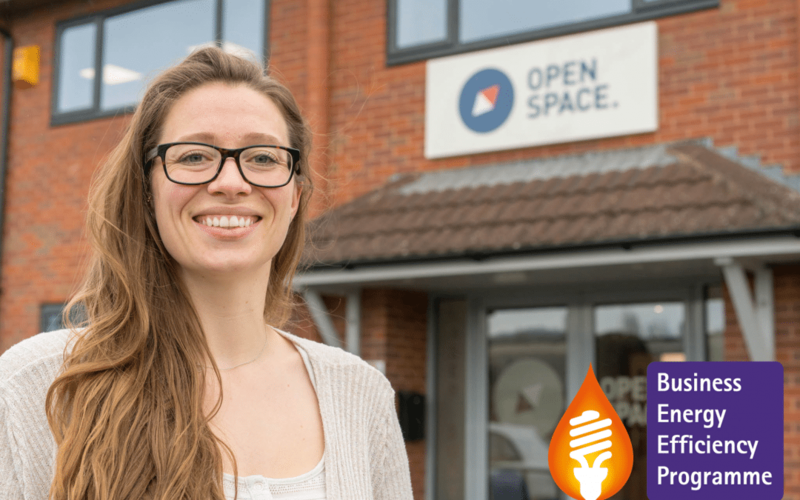 Worcestershire entrepreneur Sarah Stewart established Open Space in 2015 after recognising a lack of easily-accessible professional spaces for local companies to grow and develop. The absence of dedicated offices – particularly in Malvern, where Open Space is based – available on an ad-hoc basis led to the opening of the company’s first premises. 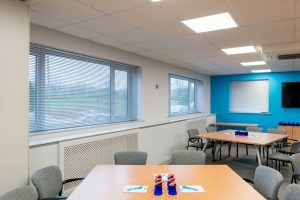 It quickly became apparent that demand for office space was high, and that a need for additional workplaces was required, leading to Open Space purchasing further premises. However, the new building was in need of extensive repair work to bring it up to required standards. Assisted by Worcestershire County Council, Open Space was given access to the Business Energy Efficiency Programme (BEEP) which provides energy efficiency assessments to SMEs enabling them to improve energy efficiency and profitability, while reducing carbon emissions. An energy efficiency assessment was completed by an energy efficiency advisor from Herefordshire & Worcestershire Chamber of Commerce which helped them identify energy saving opportunities. Open Space received a BEEP grant totalling £4,000 as well as a start-up enterprise grant with match-funding to furnish the business centre. The company is also enrolled on the business accelerator programme which delivers 12 hours of mentoring. BEEP is a partnership between Worcestershire Councils, Herefordshire Council, Telford & Wrekin Council, Shropshire Council, Shropshire Chamber of Commerce and Herefordshire & Worcestershire Chamber of Commerce. After opening their second premises in October 2017, Open Space is already running at 100% occupancy. With support from Worcestershire County Council, Sarah Stewart says the company has been able to accelerate its new premises from a standing start to full operation without having to compromise on quality. Already employing two and a half staff, Open Space is now looking to progress with further premises and therefore creating further employment. The Business Energy Efficiency Programme offers free advice and up to 40% grant funding to businesses in Worcestershire and The Marches. It is funded by the European Regional Development Fund.